Have you ever experienced live stone masonry? Winchester Cathedral will be hosting a Festival taking place in the Inner Close, 8-10 July, where stone masons from across the UK will be showing their carving prowess, culminating in a public auction of works on Sunday 10 July and a chance to meet the masons. The event is free. Foodies will be pleased to hear that July is also the Hampshire Food Festival, with various events taking place across the county all month. On Friday 15 July 2016, Winchester’s Forte Kitchen will be opening its doors afterhours for a unique evening of food and drink. “Kitchen Cabinet” is a collaboration between Forte Kitchen and Cabinet Rooms. For a comprehensive list of all the events on offer, visit the online programme here. 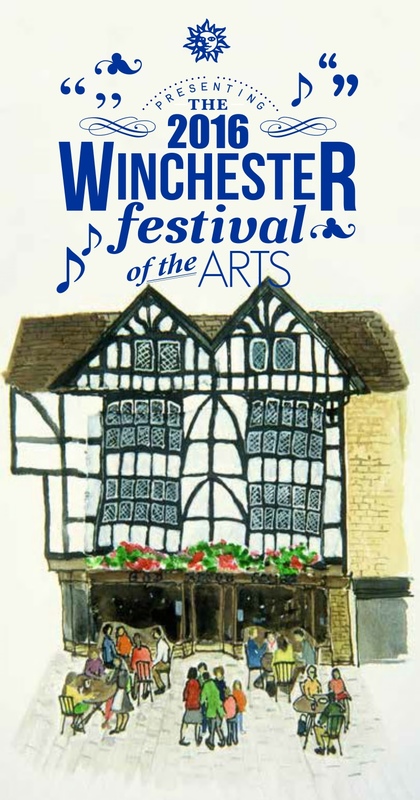 The Winchester Festival of the Arts runs until Saturday 9 July, a series of music, talks and drama throughout the city. Speakers include Michael Morpurgo, Robert Hardy and Sandi Toksvig. There is a lunch time recital programme at St Lawrence’s Church, a selection of visual arts exhibitions and some interesting city walks. We like the sound of Alfred’s Kingdom (a dramatised walk) described as a journey ‘back through time’ to Anglo-Saxon Winchester with a dramatic twist! Booking is recommended. For a full programme visit the Festival website here. Wessex Dance Academy will be presenting an exciting evening of choreography and film at the Theatre Royal, 14 July at 7pm. A new company of dancers will share their 12 week journey with three new pieces of dance. The event is free although donations are welcome. The Winchester Science Festival takes place 22-24 July. A fantastically curated programme of speakers will take over the Discover Centre for a weekend of stimulating talks on space, nature, the future and of course, powerful lasers. Various exhibitions and other events will be taking place throughout the month, and a full programme is available on the Winchester Science Festival website. Plenty of food and thought this month – enjoy!